Why is Amazon offering free items in conjunction with Twitch? Because the former outright owns the latter. How can the latest giveaway benefit those who play Fortnite? For a while now Twitch has been offering free items just for Amazon Prime subscribers. Their latest giveaway is focused on the increasingly popular Fortnite: Battle Royale (How popular is it? We’ve reached “Parental Handwringing Mode,” that’s how popular it is). The giveaway doesn’t just cover Battle Royale but Fortnite’s Save The World mode as well. 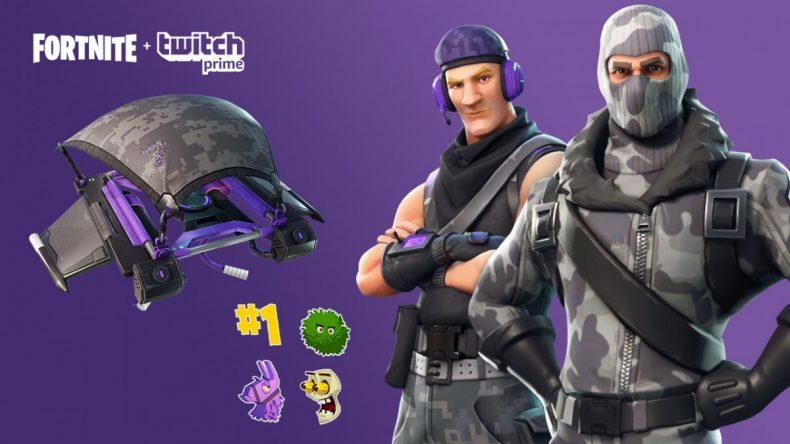 The Twitch Prime Pack is redeemable on all platforms Fortnite currently runs on — Playstation 4, XBox One and PC.